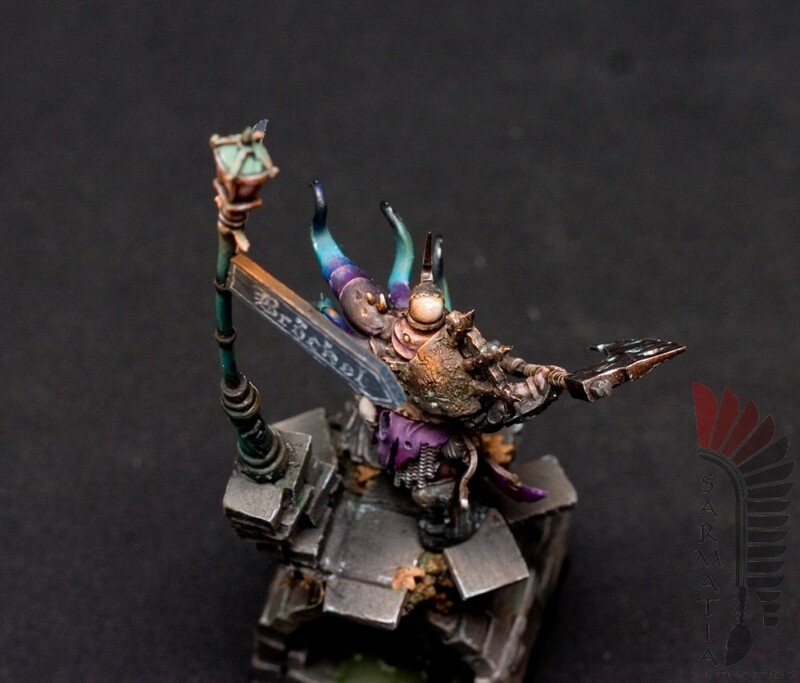 Here’s a newly finished Skarr model. New from GW, this guy originally sports two flails, another helmeted head and additional plates of armor. I disliked the looks of that stuff, so my Skarr is made with alternative head from the blister and wields with just two axes. Looks more barbarian and more human. Still, mutilated by chaos (see flesh that lurks from beneath the skin). 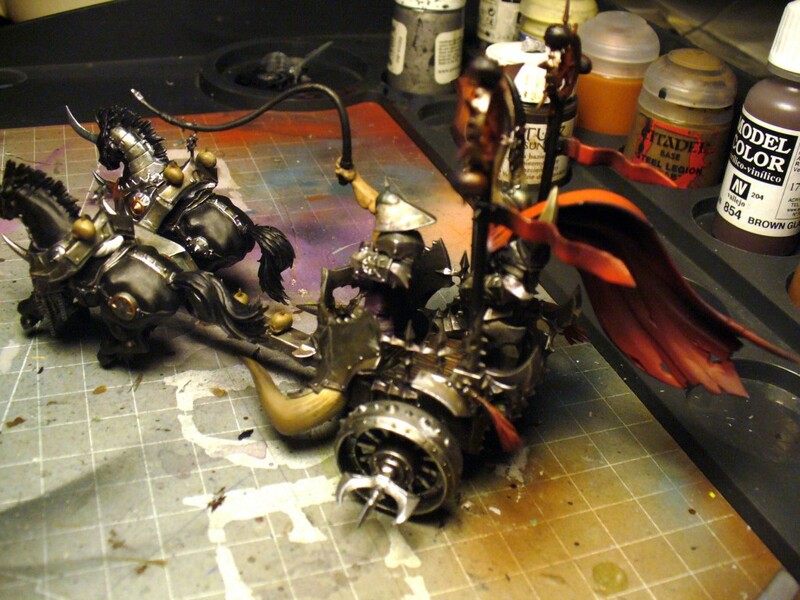 It is time to make some Warhammer models. 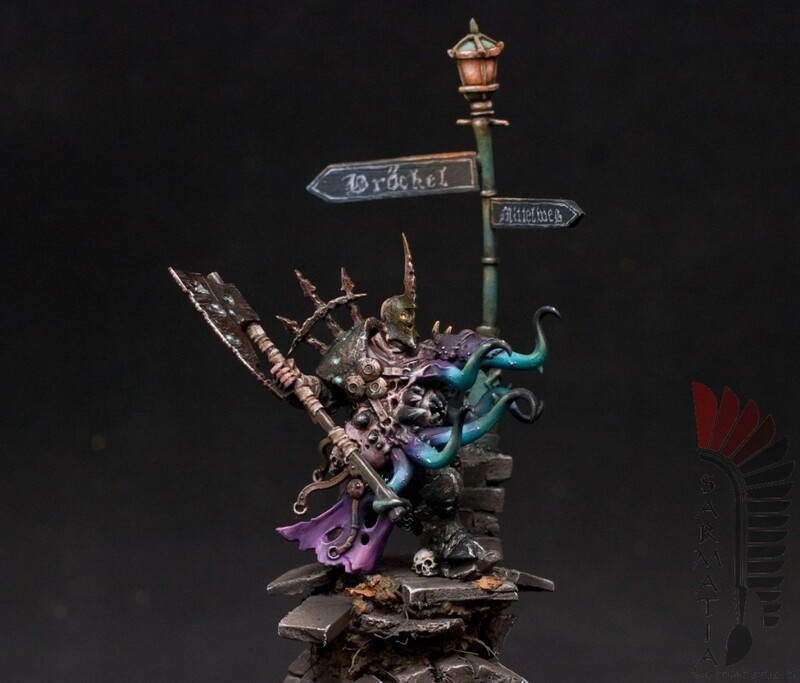 This is the newest Skarr model (released yesterday). Work in progress. Model made with alternate head option. For me, much better than the ‘cover’ one. Still, not sure if I will attah the extra flails to the axes. Looks more classy without them. Base made of PlayDoh A scrap piece that was left to dry for a long time, I find pieces like that in my kid’s room sometimes. Make perfect volcanic rock. Here’s a new Gutrot model. Hope you like it! 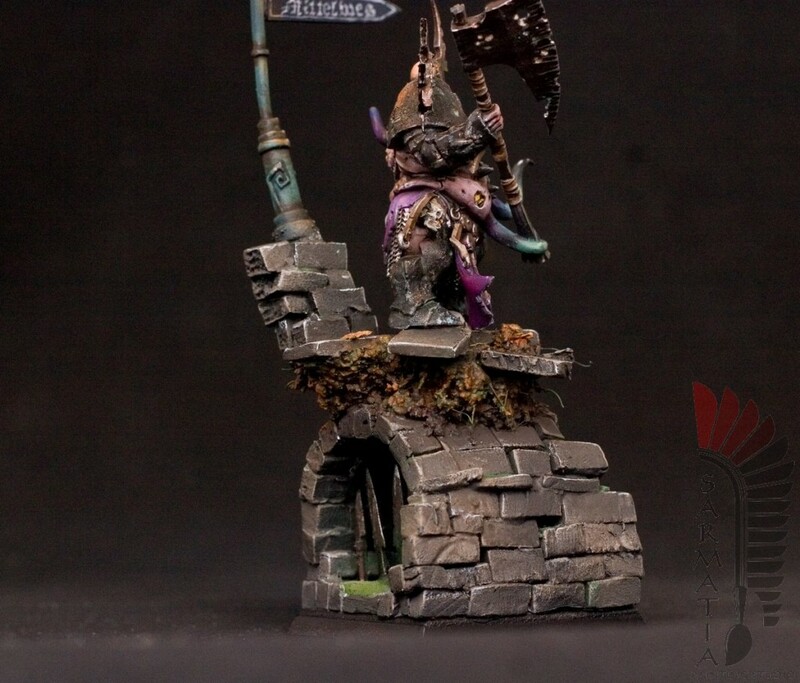 Dragon Ogres are ready and out on CoolMiniOrNot for you to vote. 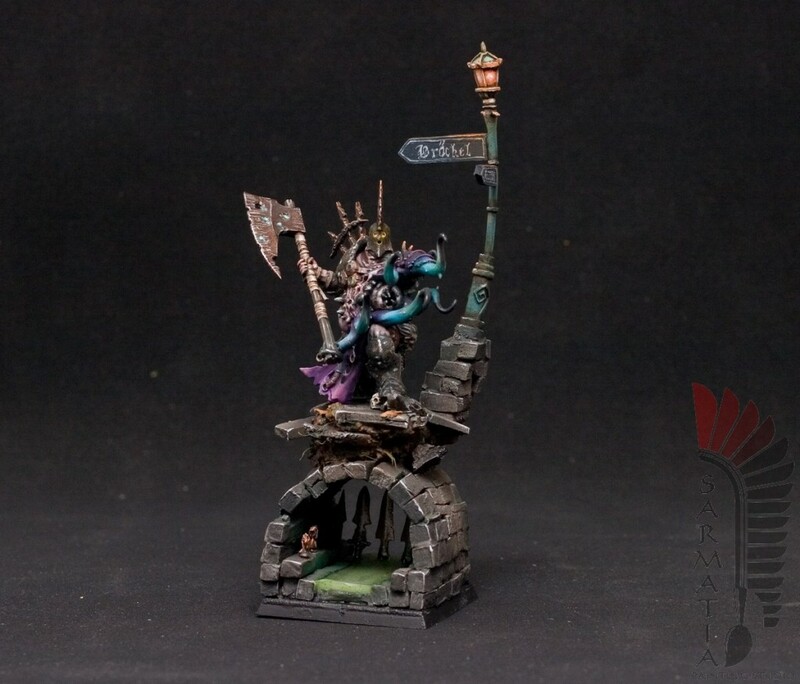 They were real pleasure to paint and assebmle. This majestic-looking 3-Ogre regiment was made to carry great weapons. Box contains options also for 1 or 2 hand weapons, but I considered this option most formidable. 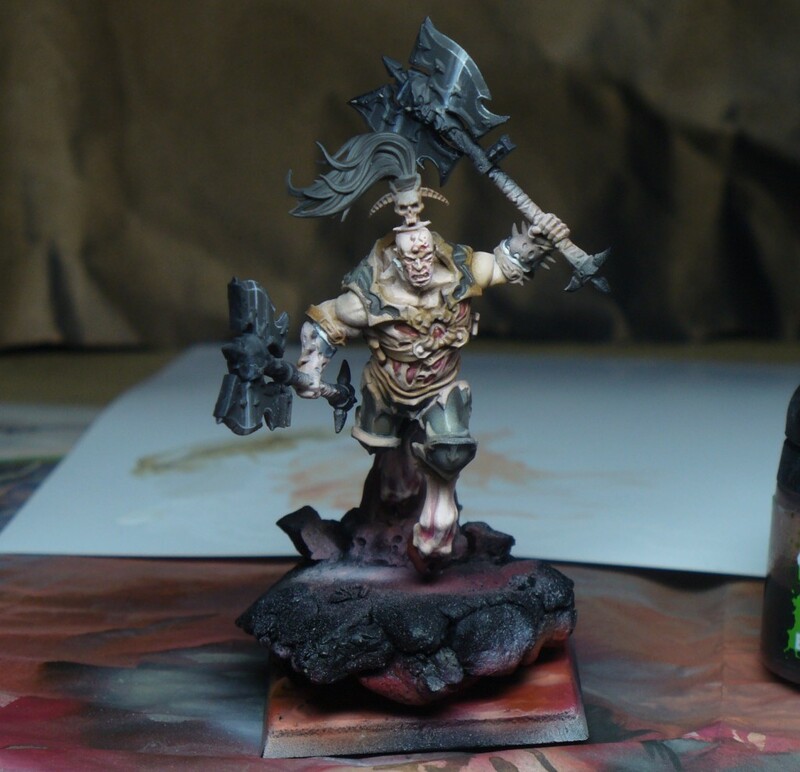 Paints used: acrylics, ‘liquid gold’ metalizers for armour plus some oil paint to give a soft highlight to the skin. 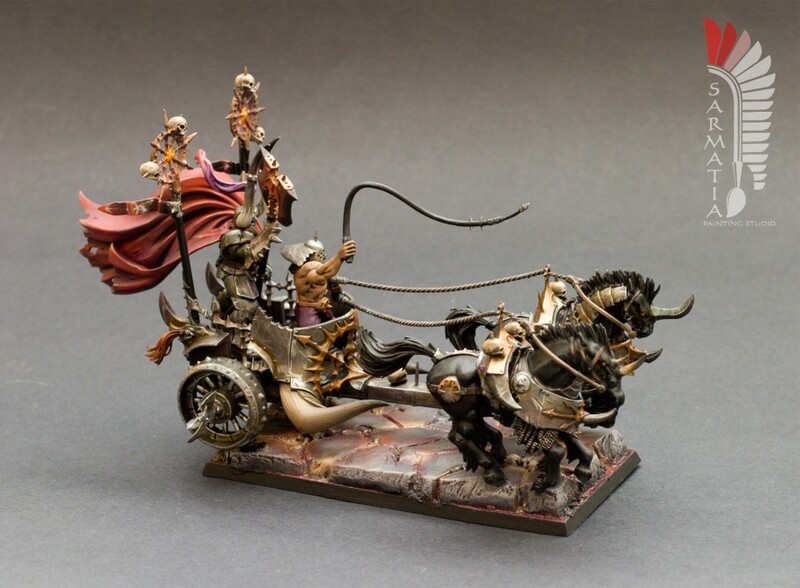 Here’s the new Chaos Chariot from GW. 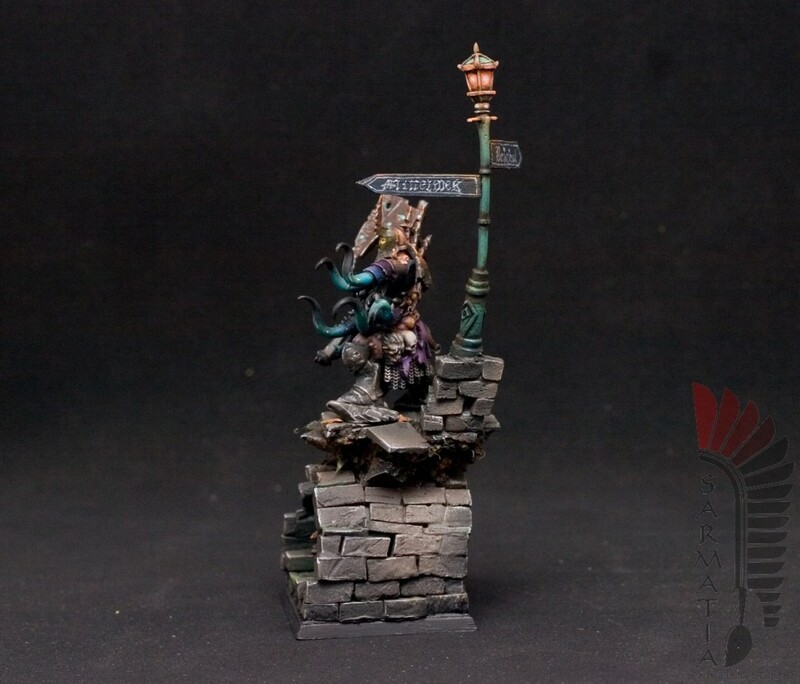 The rear miniature is removeable and can be placed on separate base (magnetized). 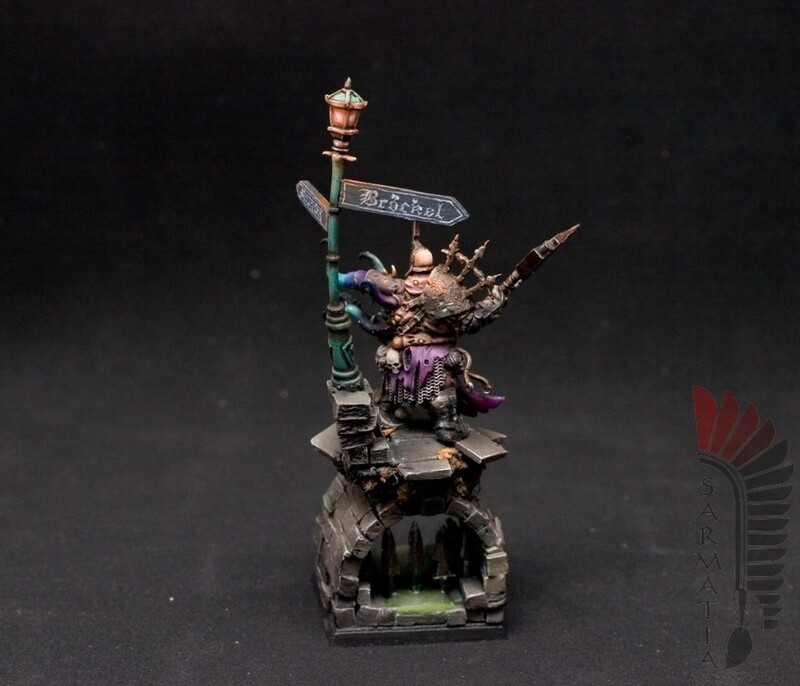 He can make a perfect Chaos Lord for your army. 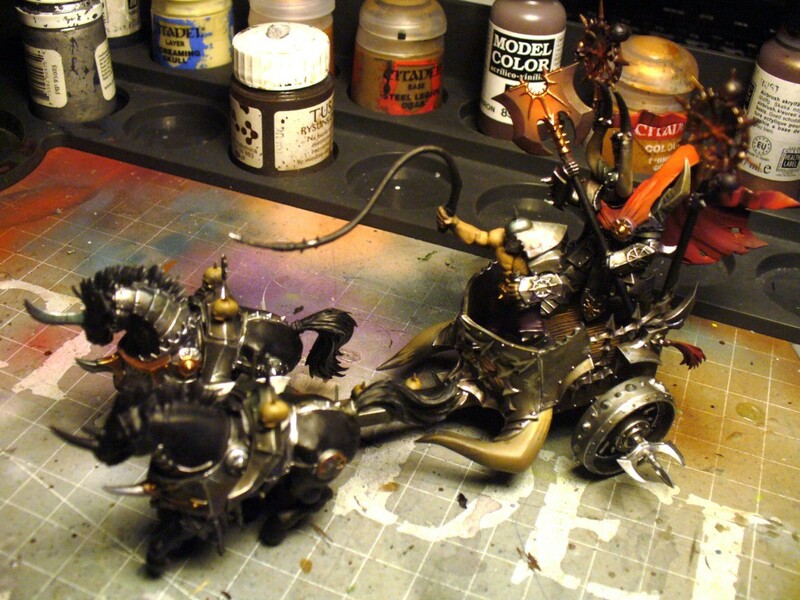 This is a new Chaos Chariot form GW, released 2.02.2013. 80% finished, now needs some final touch. This is an awesome model, great looks and many options. 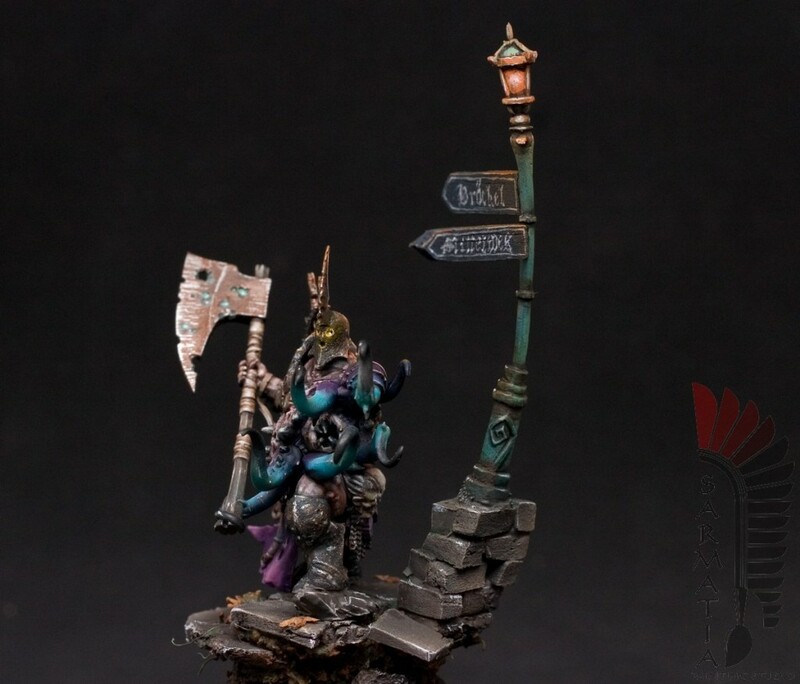 Plus you can field the Chaos Lord on foot rather than on chariot. I magnetized his legs, so putting him on base is very easy. Be looking forward to see final version soon!